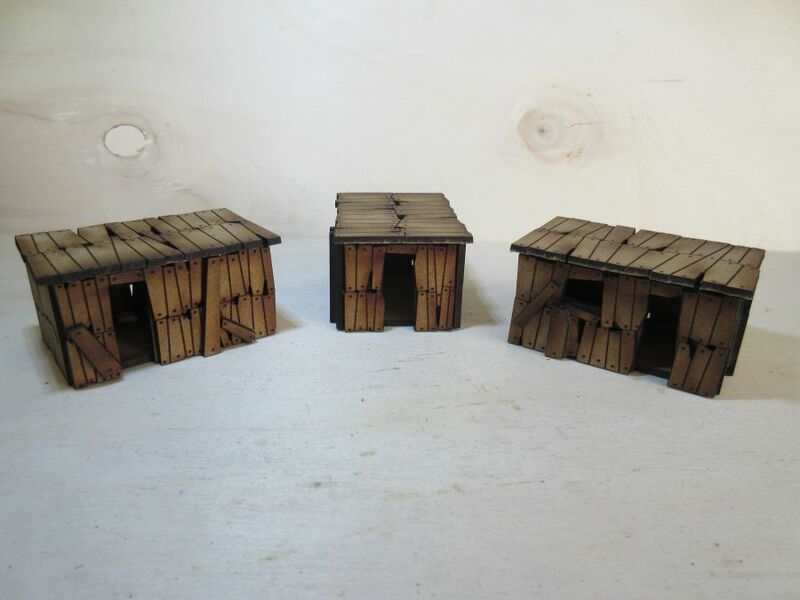 A set of 3 Orc shacks at 15mm scale. 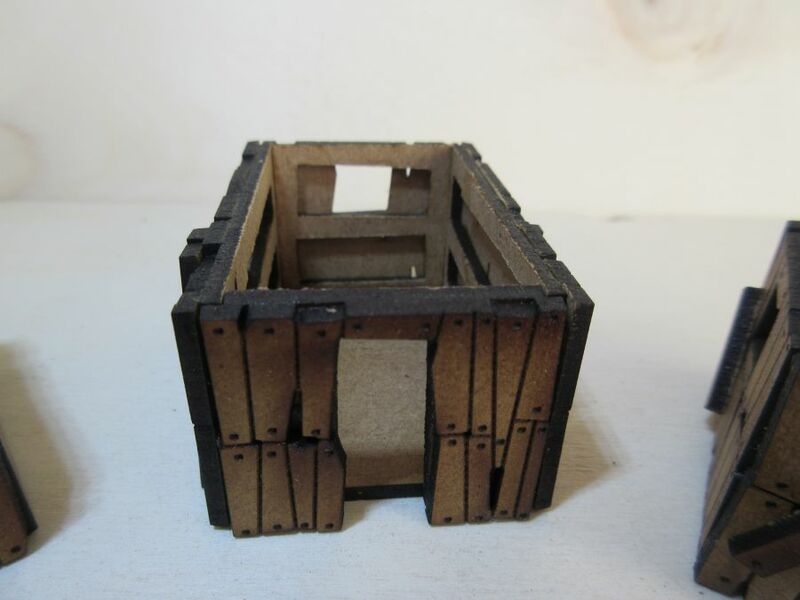 The buildings are each approximately 65mm long, 45mm wide and 33mm high. Each roof is designed to be easily removable as long as it has not been glued on. A variety of extra planks are included that can be glued on the outsides to add extra variety. Laser cut from 2mm MDF these are supplied unpainted and require to be glued together.